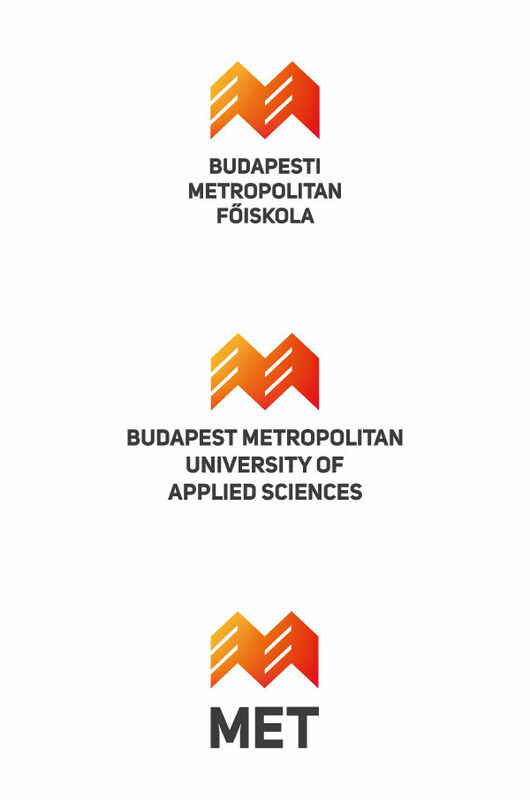 The university formerly known a BKF is the largest private university in Hungary. It is continuously growing in terms of student number, while the portfolio is also constantly being broadened with new programmes. The time has now come for BKF to change its name, logo and identity to something that represents its values in a better way. 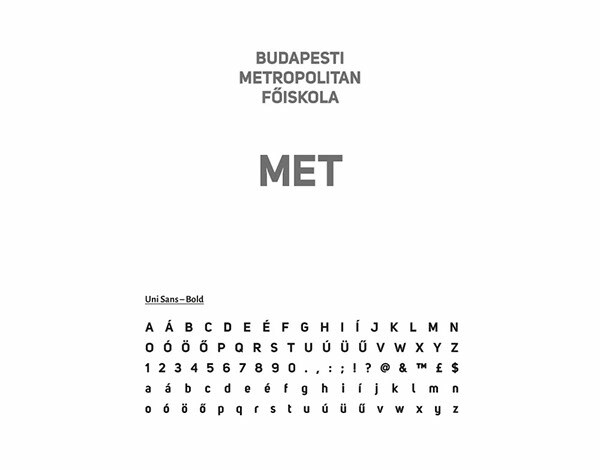 The new name is Budapest Metropolitan University of Applied Sciences, or MET for short (Budapesti Metropolitan Főiskola in Hungarian). 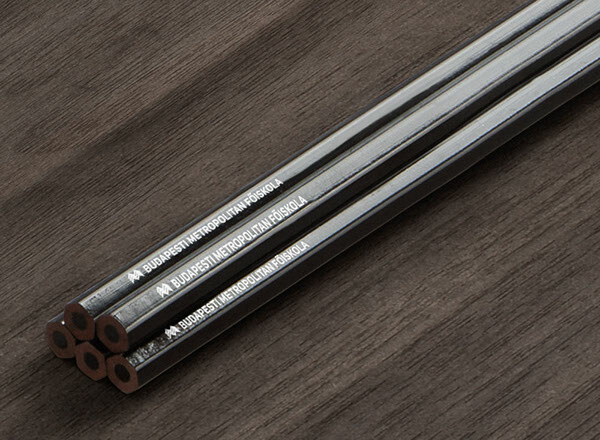 Metropolitan, referring to someone / something that is part of a very large and busy city. The university defines itself as a modern, living, bustling and continuously growing community which is developing dynamically. 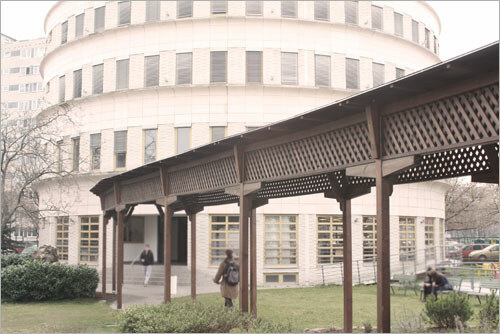 The main values of the university are creativity, innovation, open intellectuality and immediacy. The institute emphasizes the importance of practice-centered training which reflects on the demands of the labour market. 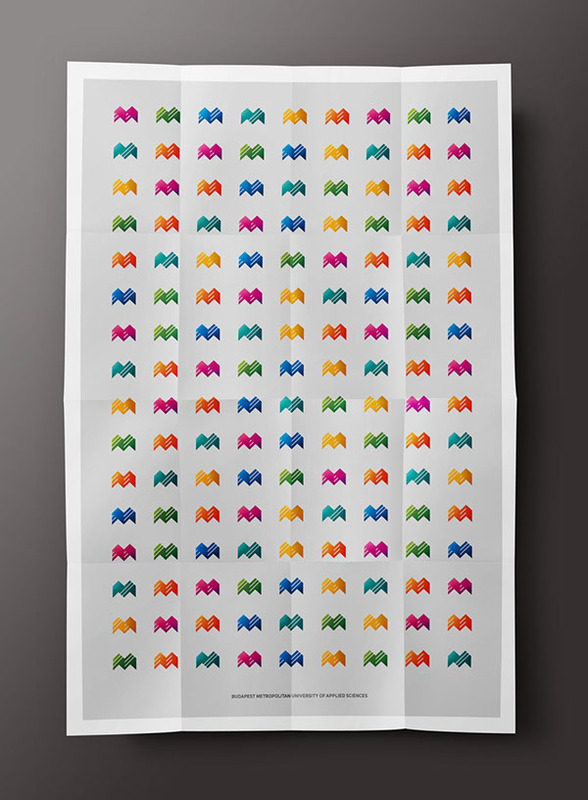 I perceive origami – or the art of paper folding – as a synonym for flexibility, plasticity and creation. 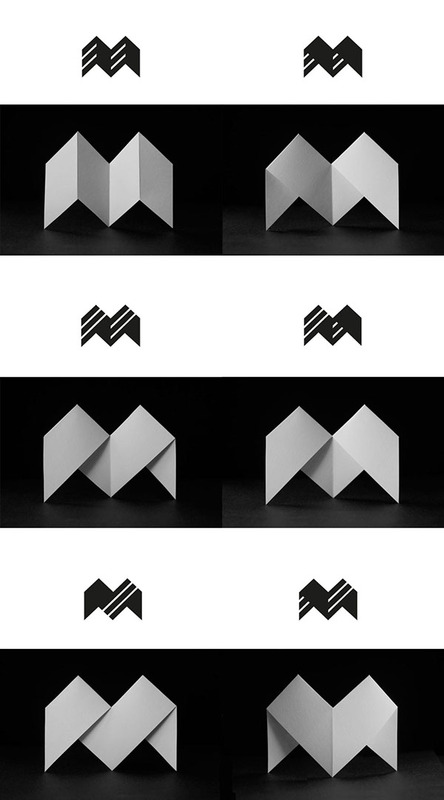 The action of folding and creating a 3D object from a 2D flat sheet of paper can be viewed as a metaphor for transforming students into more knowledgeable individuals. 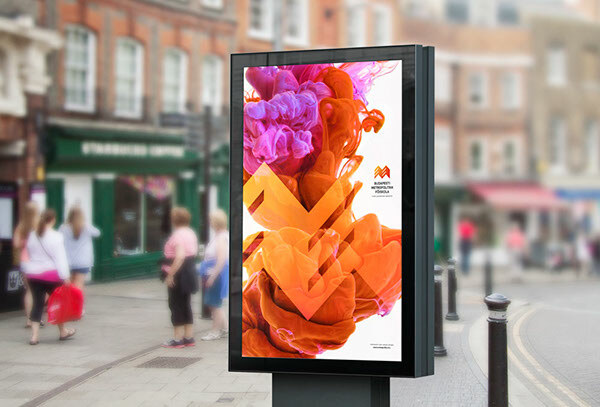 The basic symbol was created by combining paper folding and the initial 'M'. One set of surfaces is lit (lighter), the other set is shaded (darker). 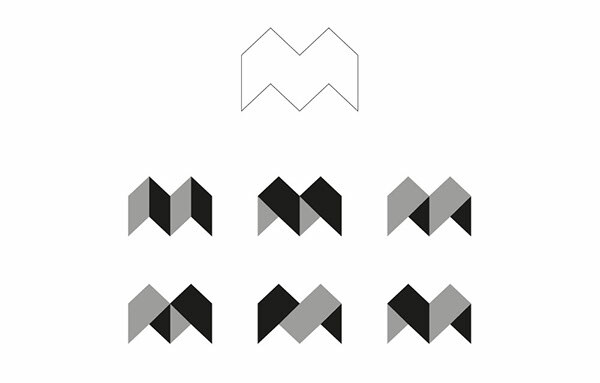 New symbols were created by changing the way of folding, but keeping the original bounding shape. 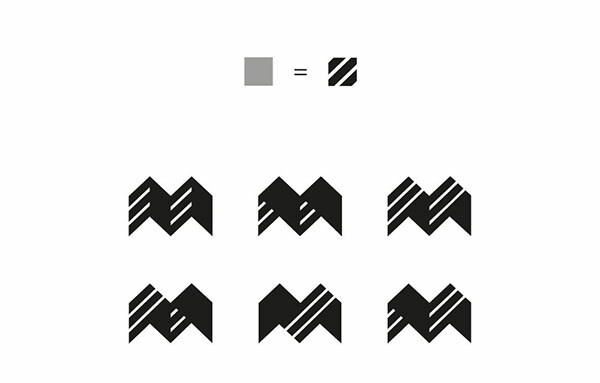 The final form of the symbols is obtained by replacing the grey of the lit surfaces by a striped pattern. To keep authenticity, symbols were also modelled 'in real life'. 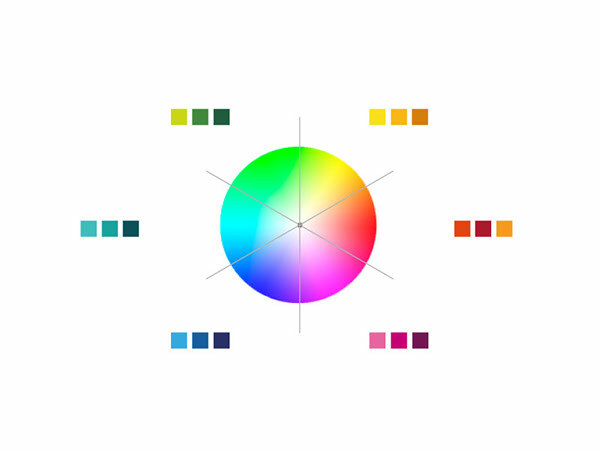 The color circle was divided into six equal parts, and thus six different color palettes were created. 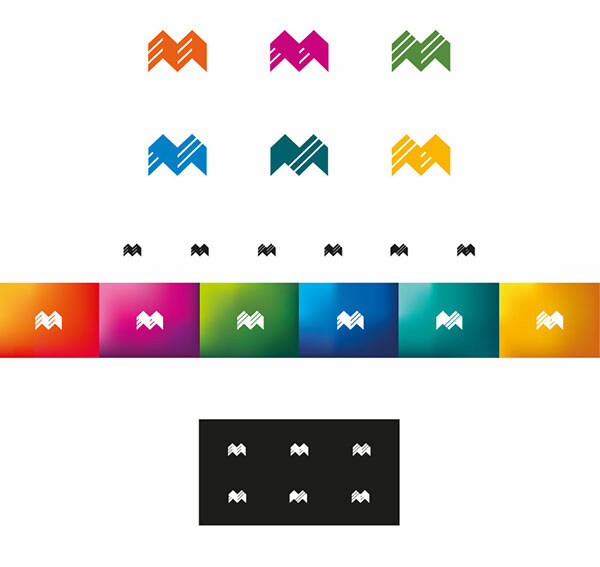 The six color palettes were matched to the faculties of the university based on the generally recognized characteristics and symbolism of colors. 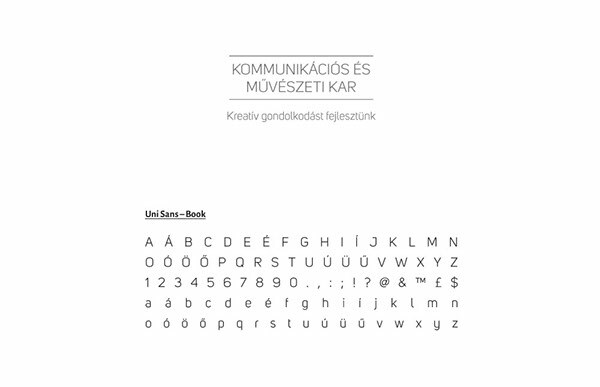 Font choice for long and short name of the university. 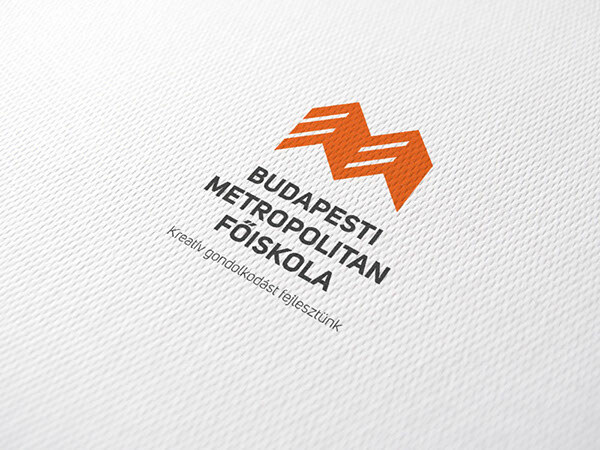 Complete logo with symbol, long name and short name. 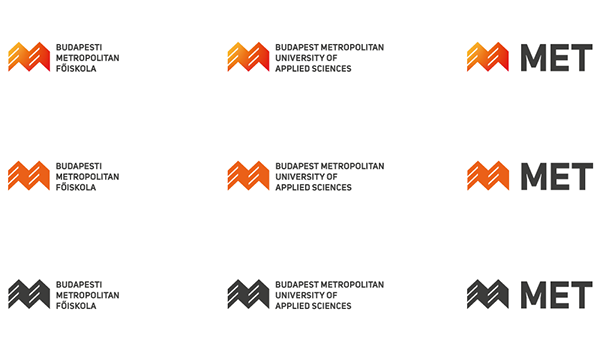 Logo mutations with symbol, long name, faculty name and slogan. 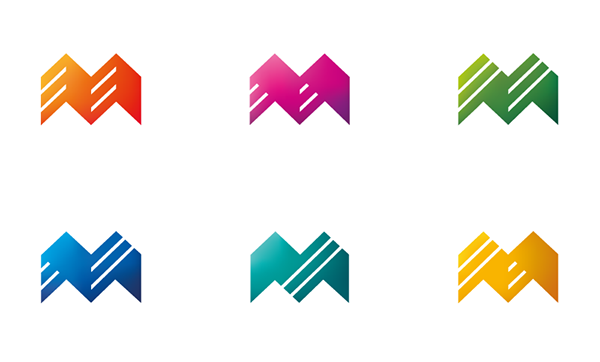 Symbols displayed with the use of direct color, single color and inverted color. 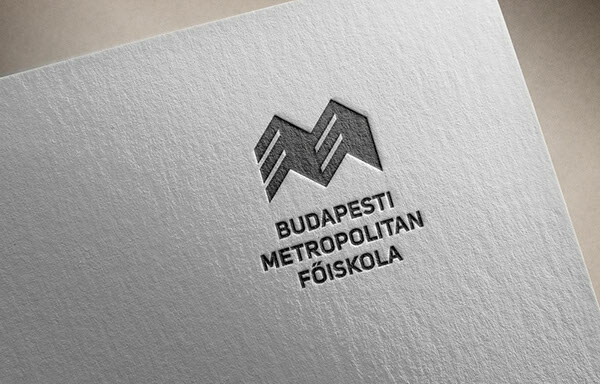 Pitch proposal for the flexible identity system of the Budapest Metropolitan University of Applied Sciences.